This post will hopefully serve as a resource for those of you who will be undergoing a NaPro Technology Ultrasound Series. It is meant to clarify some common misconceptions regarding the series, as well as to educate the patient who may need to undergo the series at a facility that is not trained specifically to perform the study and read/interpret the results. However, this is not to be taken in the place of your Dr's medical advice, nor is this post endorsed by any medical entity. Rather, it will draw upon my education, experience, and current career working in the field of FertilityCare and NaPro Technology as both a FertilityCare Practitioner and RDMS (Ultrasonographer). 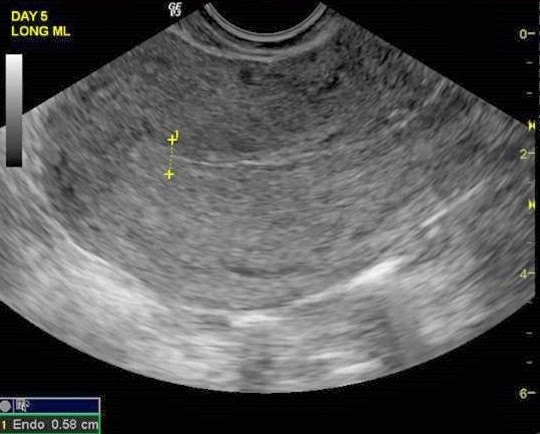 The Ultrasound Series, as developed by Dr Hilgers at the Pope Paul VI Institute, is a very detailed, and if done properly, very accurate means of evaluating ovarian function and the ovulatory process. The results of the complete Ultrasound Series are invaluable in helping a NaPro Dr determine underlying causes of infertility and miscarriage (prior or future risk), and also serves to drive therapy decisions. 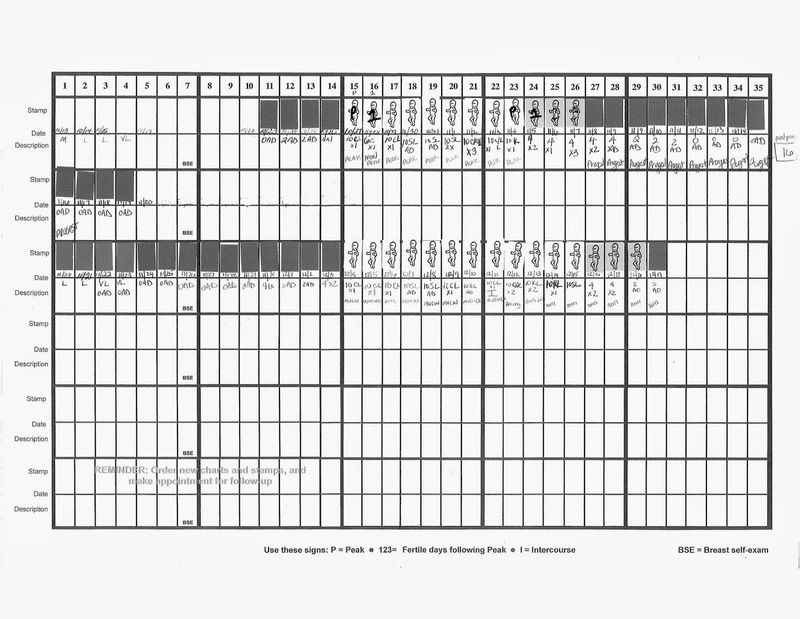 2) A Baseline Ultrasound is performed, generally around Cycle Day 5-7. 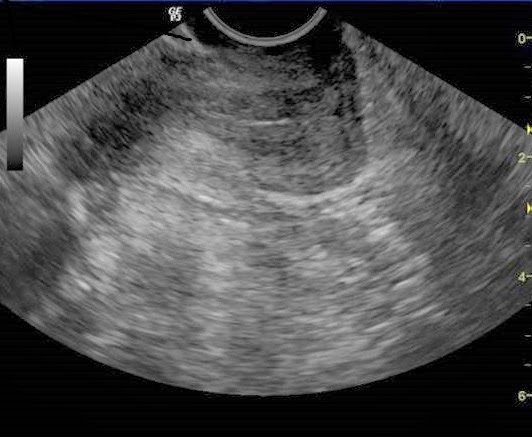 This is a "complete pelvic ultrasound" which consists of both transabdominal and transvaginal imaging. Once the transabdominal is done, the patient will empty their bladder completely for the transvaginal (just as important as having a FULL bladder is for the transabdominal, it is having an EMPTY bladder for the transvaginal). 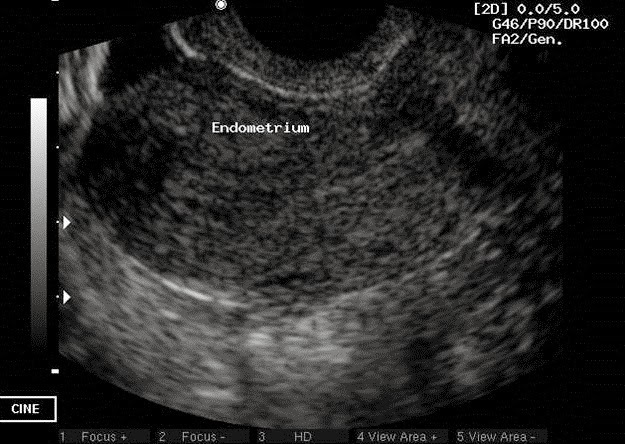 We expect to see the endometrium (lining of the uterus) at its thinnest state, before it has proliferated - to evaluate for small masses like polyps or myomas that can be easily hidden later in the cycle when the lining is thicker. We expect to see the ovaries at rest, before there are any dominant follicles - this helps us evaluate any structures we do see on the ovaries (like endometriomas, corpus luteum cysts/hemorrhagic cysts, simple cysts, dermoids, etc) and watch them over the course of the series to further evaluate their status (stable, growing, diminishing in size). It also helps us to evaluate the size and contour of the ovaries themselves (polycystic ovaries, for example, can be difficult to diagnose if you only see the ovary at times when there are dominant follicles present). All of this information is recorded on a worksheet, and the SIZE OF THE LARGEST FOLLICLE then dictates when the next scan will be. If there are no follicles over 1.4cm, the patient returns in 3 days. If the largest follicle is 1.4-1.6cm the patient returns in 2 days. If the largest follicle is 1.6cm or larger, the patient returns the following day. Hilgers, TW The Medical and Surgical Practice of NaProTECHNOLOGY. Pope Paul Institute Press, 2004. 259-268. C.O. here refers to the cumulus oophorus, a structure which forms around the egg (inside the follicle) which is generally viewed easiest when the follicle is around 1.70cm. A c.o. is not always visible on ultrasound; I have personally seen them less than 1/3 of the time, and from what I understand, this is similar to the stats at PPVI's ultrasound department. Not seeing the c.o. is not indicative of an empty follicle, therefore. But seeing the c.o. is always a good sign. The cumulus oophorus is the semi-circle on the periphery of the follicle (black circle). Quick tutorial- follicles are filled with fluid, fluid on ultrasound shows up black because the sound travels right through it, not creating any echoes on the image (anechoic). 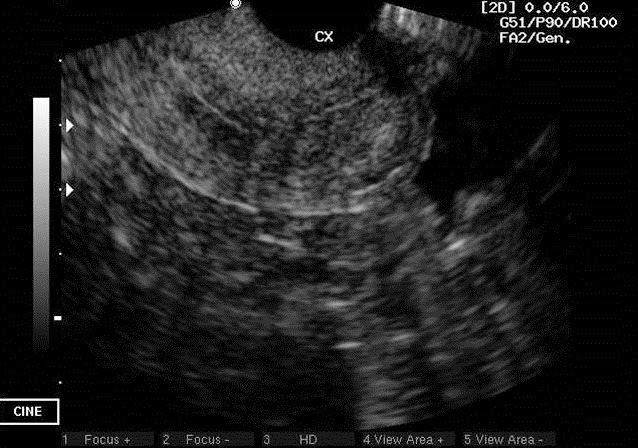 Cervix is dilated all the way throughout (note the thick black line- remember black on ultrasound is fluid - this is cervical fluid, i.e. cervical mucus) By the by, that would be my beautiful cervix you're looking at, here. 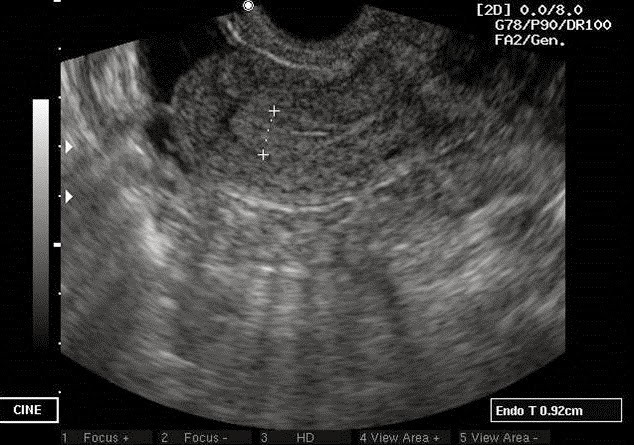 The next day, changes are already observed: note how the cervix is still dilated, but not all the way throughout. Also note the fluid (black) area underneath the cervix- that is cul-de-sac fluid. 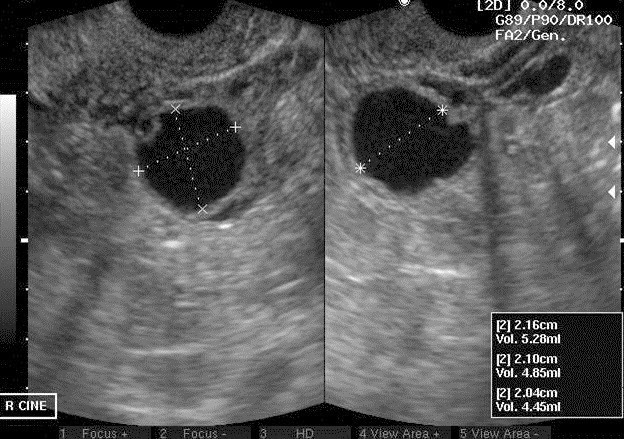 Cul-de-sac fluid is clinically significant and helpful in diagnosing an ovulatory event. More changes are noted in the endometrium - can you notice how the "lines" aren't as distinct as they were the day before? This is consistent with an endometrial change from proliferative to secretory phase, in the midst! Fascinating stuff, here, people! 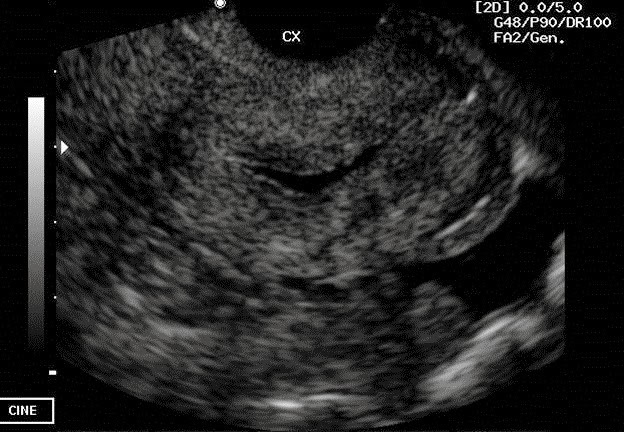 The mature follicle now measures 2.33cm; also note the "blurry" appearance around the edges. This is common to see right around the time of an ovulatory event. IMPORTANT: This patient has, up to this time, had pretty typical results, but her ovulation is not complete and anything can still happen. The very next day, the cervix is once again completely closed (no mucus) and the area of cul-de-sac fluid is now larger. 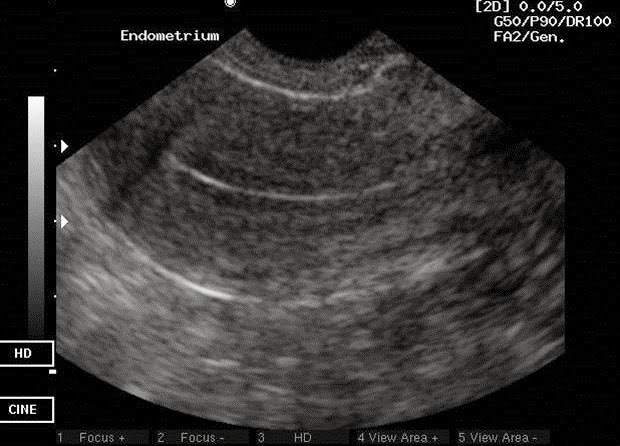 The endometrium is now in an early secretory phase (bright gray shade throughout). And this, my friends, is a corpus luteum. On the day of rupture, it can be so small that it is nearly impossible to find at times, UNLESS the patient had been seen the day before by the same technician. Corpus lutei can take on many different appearances, being completely black like this one, to more gray inside (often called "hemorrhagic" on ultrasound reporting), but the key is that it is smaller, with irregular borders (not crisp, round edges like the follicle). 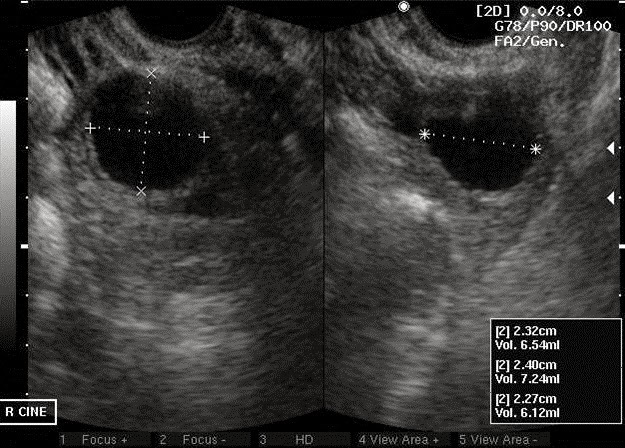 This ovulation was diagnosed as a normal one (complete rupture of a mature follicle with cumulus oophorus). In order for a rupture to be diagnosed as "complete" (not partial, or delayed), it must decrease in size by .75cm within 24 hours. Having seen one example of a normal ovulation, with pretty "typical" cycle days for ovulation, you may now better understand the importance of the protocol. Skipping days 12 and 13, here, would have been obvious mistakes - but what if days 12 and 13 were a Sunday and Memorial Day? Or a weekend that a particular facility wasn't open? Patient had just started charting at the time of her first ultrasound, projected for Cycle Day 10 in the absence of prior Peak Days. Cycle day 10 she was told she had no dominant follicles, and to return, per the protocol, in 3 days. On Cycle Day 13, the patient returned, and was once again told there were no dominant follicles, and to return in 2-3 days (I think there was a weekend in here that meant the patient returned sooner since this particular facility wasn't open on weekends.) On Cycle Day 15, the patient was hopeful because she started to see mucus - but once again her ultrasound showed no active follicles. The Dr made the decision to stop the series, have the patient continue charting, and to let the office know if she experienced a Peak Day, or got her period. In the absence of prior charting, there was no way for the Dr to know how poorly-timed these ultrasounds were. Now looking at 2 consecutive cycles, we know that any ultrasound before Cycle Day 20 is pretty much a waste of money for this patient whose Peak Days are Day 23 and later. The series was completed at a later time, and this patient was found to ovulate NORMALLY, just later than some women. Thank goodness for the charting, which helped the Dr to repeat the series at a proper time; but imagine how much more productive it would have been to have the charting FIRST before wasting all those ultrasounds. Timing with the charting is clearly important. Missing days due to weekends or holidays or just simply because the facility doesn't know and understand the proper protocol is, quite frankly, my biggest pet peeve. Understandably, not all NaPro Centers have their own ultrasound, and furthermore, not all are able to offer ultrasounds on weekends and holidays. As a patient, you do what you need to do for yourself, your family, your budget, etc - not everyone can see a NaPro Fellow for surgery, for example. And at the moment, there are only 2 NaPro ultrasound facilities that perform and read the Ultrasound Series as designed by Dr Hilgers: Pope Paul VI Institute, and MorningStar Family Health Center. We are hoping, with new training materials coming from PPVI, that this will change in the near future. 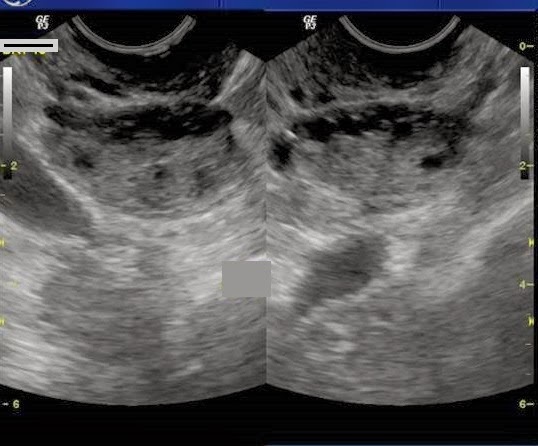 And, in the meantime, there are certainly other options for completing a series which can be helpful for your Dr.
Aside from the protocol (timing) and the charting, which are two crucial elements to having a successful Ultrasound Series, some other factors also come into play which can help in accuracy of diagnosis. Having the same technician, the same eye looking at your sonograms from day to day (in live imaging, not just the radiologist or NaPro Dr looking at still images) is extremely helpful. If you absolutely must have the Series done at an outside facility like a hospital or imaging center, you should request having the same technician - and perhaps speak to the Chief Sonographer ahead of time regarding what you will be doing, and how important it is for accuracy. 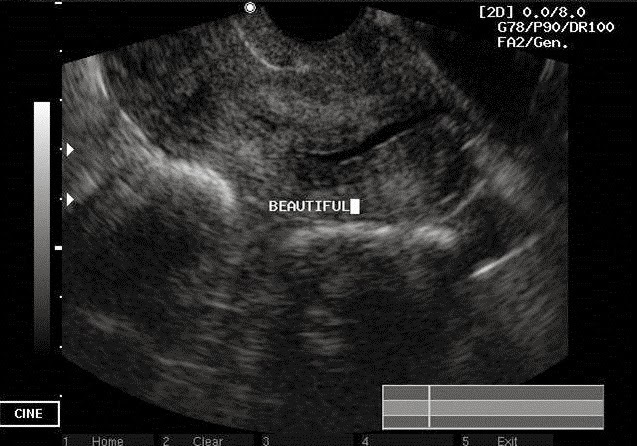 Oftentimes the Chief Sonographer may wish to do the scans themselves, or at least oversee the series. Another important note, if having the series done at an outside facility (non-NaPro) is to ask them not to put any ultrasound gel on the outside of the probe cover. I usually do not use anything on the outside of the probe cover, but if this is painful for you, you can request sterile water or bring your own Pre-Seed for use as a lubricant. But if I leave you with anything, I want to leave you with this- I am still learning, every day, and I am still seeing new things I've never seen before in the ovulation process, on ultrasound. It is easy to make mistakes. It is easier to catch those mistakes, however, when you are following the protocol, and have the experience to know what normal and what abnormal looks like. The NaPro Ultrasound Series can be a wealth of information for your NaPro Dr - if performed and read correctly. Thanks for your wealth of knowledge! Thank you!! Your post will help me better explain the process to my clients. You are a blessing to so many! Thanks so much for this! This is one of the next steps on my IF "to-do" list and it's been on there for ages, so this is both extra encouragement to just do it already and also really helpful information. When a women is preparing for surgery with Dr. Hilgers is it mandatory for the series to be completed at PPVI or can other more local hospitals be used. Kari, PPVI will only approve their patients completing a series at the 2 locations I mentioned where the Drs have specifically trained in how to perform and read. So, they can either go to PPVI, or MorningStar in New Jersey (where I work). The comolus huh? Are you talking dirty to me? Lol misfit, I always enjoy your honest reactions ;) I think this post is designed more for the patient who is about to undergo a series, or who has had several already with inconclusive results. It kills me to see so many wasted series due to poor timing (just heard of yet another tonight from a new charting client). In other words, I totally agree with all you've said here. I am so proud that you have wanded my ladyparts. Only very special friend get to bond via the ultrasound wand. 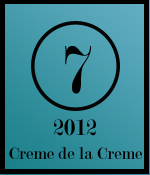 They even get to sport the fancy blog button! And some even get to sleep in your guest room and do yoga in your parlour! It seems like LUF is virtually unknown/unstudied even in the Creighton Model world. 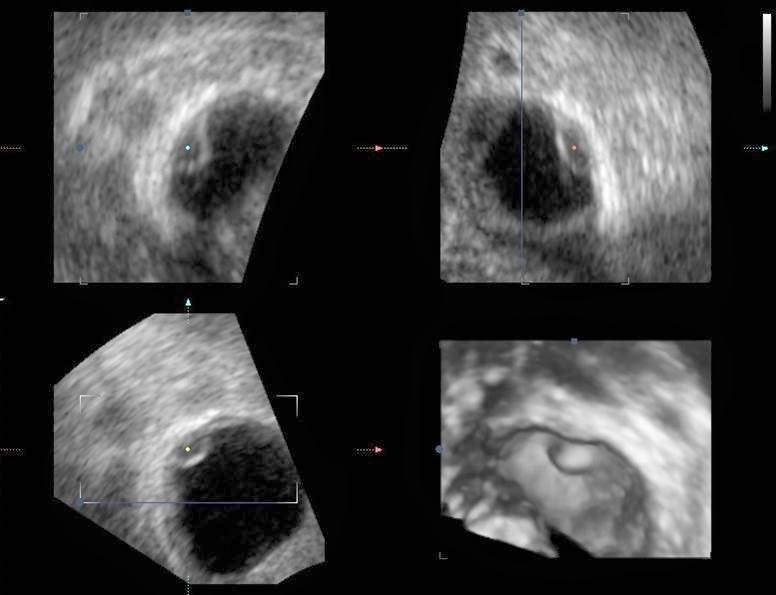 Are you seeing patients with LUF ever successfully ovulate on an U/S series? I am beginning to wonder if my body doesn't create LUF's every single month. If you can comment on seeing any succes in treating that at your clinic, I would be much obliged. Thanks so much for this post. It is so helpful and informative. It is rare to see someone who LUFs every single cycle, but it can happen, particularly in treatment cycles. 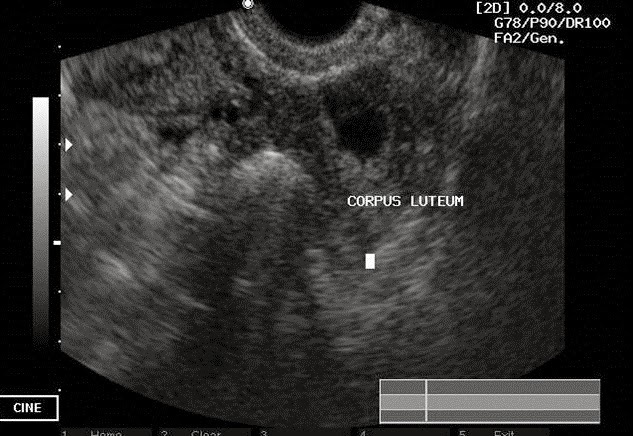 I think many times the LUFs are a result of adhesions around or near the ovary. But, one of the patients who did have chronic LUFs every cycle (who is also a blogger) after taking a break from treatment, went on to ovulate normally when we repeated the series a year later. In other words, I don't personally think once a chronic LUFer, always a chronic LUFer, and more often than not the treatments NaPro uses do work to treat LUFs. I was in Omaha at PPVI last week doing the ultrasound series, and it turned out that mine was only 1.7cm when it ruptured: Immature. They said it's a hormone issue and can be treated. I had a total of 8 ultrasounds and had to stay in a hotel in Omaha all week, but it's so worth it to know it was done right. Thanks for the informative post!